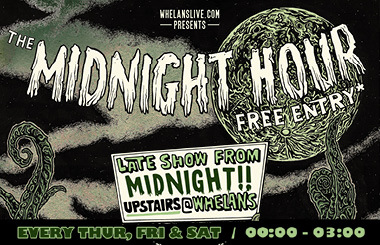 Whelanslive.com are proud to bring you The Midnight Hour. Showcasing the best new talent in Ireland & beyond. Seba Safe is the brain child of Dublin based songwriter Micheal D’Alton and soon to be a force to be reckoned with in the blossoming Irish music scene. Spending the most part of 2018 locked away in a cabin in the Wicklow mountains he has been crafting a full catalogue of songs. Writing candidly & honestly on personal relationships, love, loss and change which will soon be resonating with every listener. Seba Safe’s pertinent lyrics are wrapped in a sound that combines folk, indie and RnB. Inspirations spanning from Maggie Rodgers and Youth Lagoon to Ed Sheeran and The 1975. ‘Maprunner’ EP is set to be released this June and is sure to be a fitting debut for such an exciting new artist.